The main aim of the game is to hit over 21 score by playing Basket ball in the backyard. and third - 1 point. Don't score 11, as it will erase your current score. 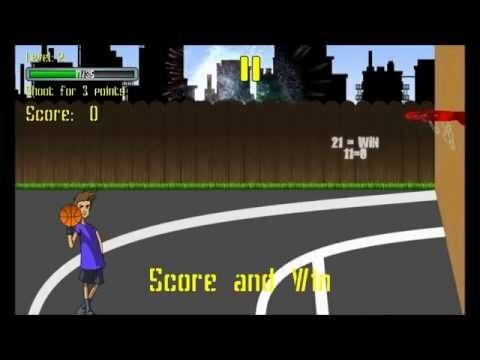 In this version of 21 Point Basket Ball you can advance and progress by playing this game, and collecting trophies to unlock lots of cool bonuses as new characters and different types of balls, that change game physic completely.